The king needs your help! Build the kingdom and earn money with just the tip of your finger! Try to get all the achievements by restoring wealth and honor of your empire. Includes 3 items: You Will Never Get This Achievement, Kingdom Clicker, Kick Them Out!!! 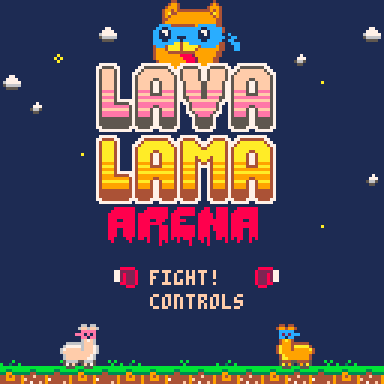 As a little gift you can play our small local-multiplayer fighting game Lava Lama Arena. The game was made during a 2-week gamejam. No download needed, you can play in your browser. Have fun and and a wonderful christmas. The ingdom Clicker you never thought you would need. Your job as mineworker is hard, but if you are hard-working and ambitious, you will certainly earn enough gold to construct buildings and recruit more workers, merchants and soldiers that generate even more gold for your kingdom! Try to get all the achievements by restoring wealth and honor of your empire.